8.4" Color TFT daylight viewable LCD with anti-reflective coating. High-performance signal processing. RGB output to connect to external monitor. Accepts CCD camera input, (cable included). Dual-speed versions allow selection of standard 24 RPM or 48 RPM antenna rotation. 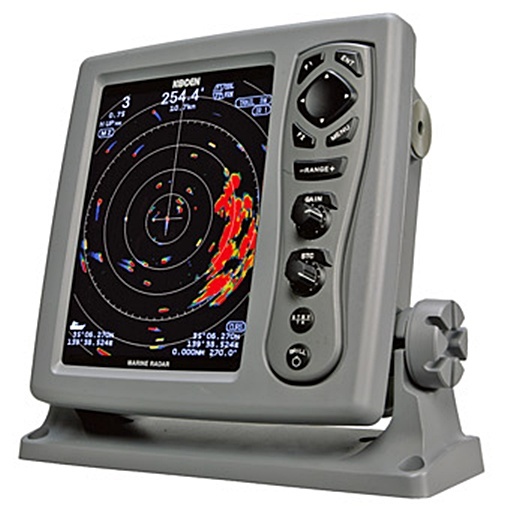 Smart selection for SAFE navigation MDC-900 Series marine radars present the performance and functions of larger professional grade radars. The series features sophisticated Hyper Digital Processing (HDP) technology for real-time presentation and superior target discrimination. The real-time smooth head-up presentation offers smooth movement as bearing changes. The superior target discrimination virtually eliminates unwanted noise to provide a clearer detailed image of targets and enhances the detection of smaller targets. Other functions are suitable for both fishing and pleasure boats.